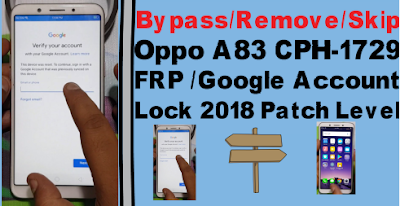 Home / videos / How To Bypass Oppo A83 CPH-1729 FRP /Google Account Lock. 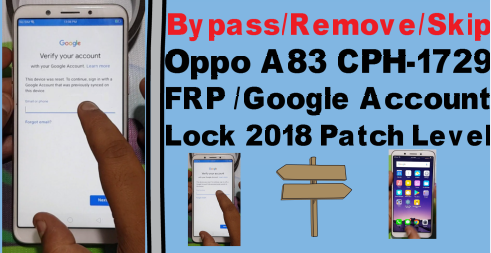 How To Bypass Oppo A83 CPH-1729 FRP /Google Account Lock. Bypass Oppo A83 CPH-1729 FRP Required File. 2# Downlaod Adb Frp Remove Tool. Bypass Oppo A83 CPH-1729 FRP Method. 11# Install and open then go to usb dubbeging opention and enable. 12# Now rebot your phone and connect your phone on pc. 13# Open adb tool and remove frp click. 14# Now your oppo A83 frp lock remove complite.